Where to buy Nokia N9 in the UK? Now, I’m not sure about everywhere else, but what we’re hearing is that the UK ISN’T getting the Nokia N9. It is instead one of the markets for the ‘competition’ that is the Windows Phone. Nokia’s own UK stores certainly won’t be selling as they’ve shut down. I think a couple of days after launch day we saw Expansys list the N9. I thought only Black N9 would get 64GB? They’ve got a listing for the blue one in 64GB too. 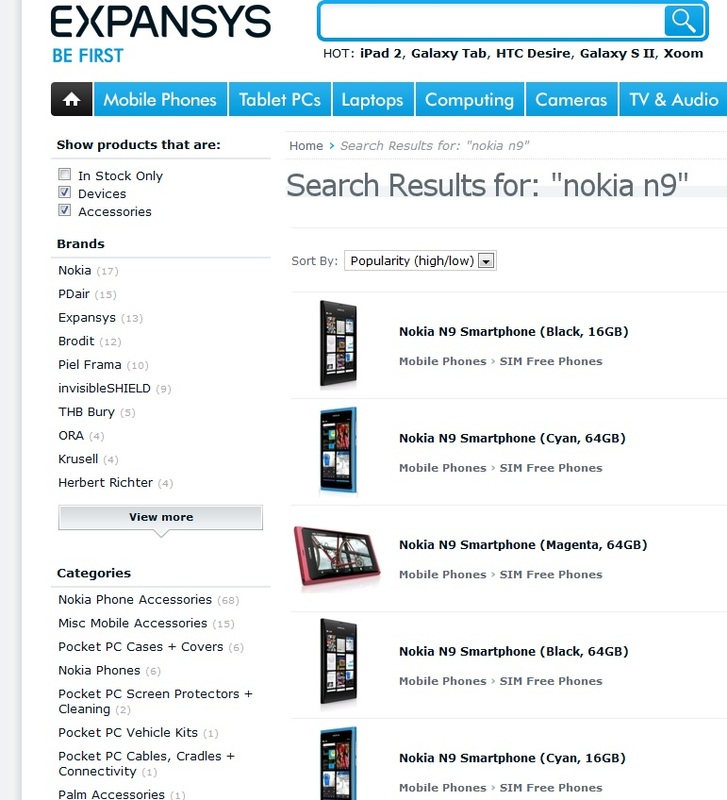 No price yet, but this is at least one retailer to get a N9 from if you are UK based. 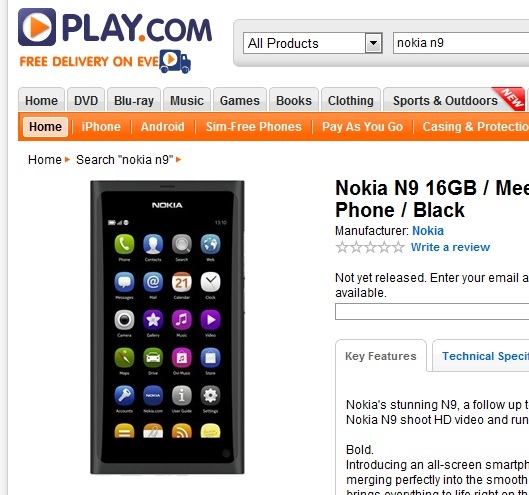 I would expect Amazon.co.uk to also have the N9. If you’re used to getting your phone subsidized, the N9 might be out of the question as it looks to be available only SIM free.